The best loyalty programs aren’t always ones involving rewards cards that you scan at the checkout. Those type of strategies can be excellent, but we recommend taking a look at your brand as a whole to see how a loyalty scheme – however unconventional – can play into overall commercial strength. What does it take to be the best? To have the most loyal customers? To have your brand become a part of someone’s identity? Understanding what motivates loyalty and purchase choices are at the heart of all loyalty schemes. What does it take to be the best? To have the most loyal customers? To have your brand become a part of someone’s identity? Disclaimer: I’m actually an Android user… but Mac users tend to be pretty faithful am I right? For a lot of people, a good example is the time-old battle between Apple and Microsoft. Ok, so it’s not that old… But it’s certainly enduring, with no end in sight. So, what motivates loyalty to one or the other? It’s the brands themselves. Or, to be more specific, it’s largely the fact that people ascribe certain social characteristics to those brands. The best loyalty programs amplify brand characteristics. With Apple, the brand characteristics might be simplicity or minimalism: a focus on style. Their products have a singular image – think of those white headphones and that brushed chrome look they’ve become so famous for. Think of that crisp logo that lights up on the back of each and every one of their laptops. Then think of Microsoft. While we know that there are more PC devices sold – often due to the fact that their products are much more affordable, their brand can be considered less aspirational. We could grossly simplify this brand strategy: owning a Mac makes you cool, owning a PC makes you less so. While there have been some strange correlations drawn between the brands (Mac owners are 80% more likely to be vegetarian¹), we all know that basic differentiation. 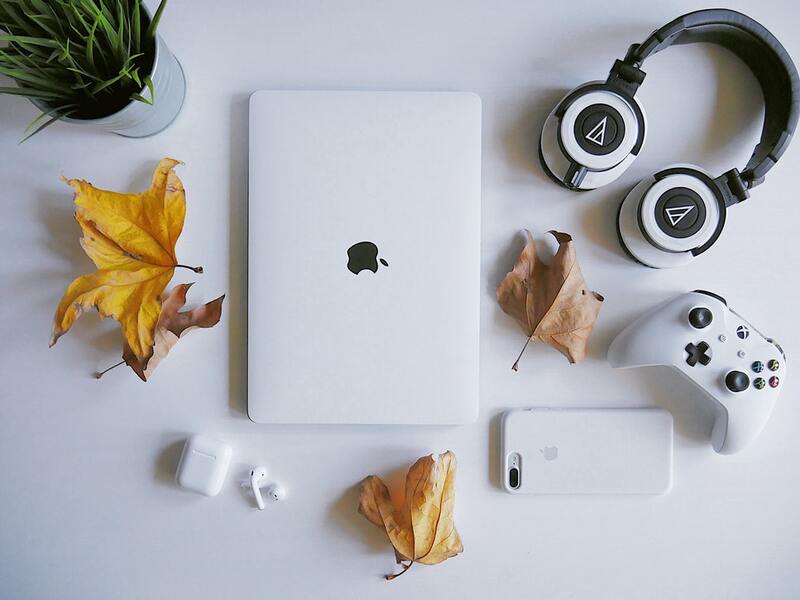 Apple is considered user-friendly, stylish, young-and-hip-and-inner-city brand, while PCs are considered to be customisable, less image-conscious, perhaps a little more mature. But both inspire fierce loyalty in a certain demographic of their users. It’s a political, identity-forming question: PC or Mac? Fence-sitters are few and far between. Apple has worked hard to cultivate their brand image over the years, and that friendly and accessible model is evident in every stage of their development. …it’s difficult for people to be loyal to something they don’t want to identify with. Loyalty schemes need to play to the strengths and weakness of your brand. Planet Fitness has a term they use to sum up their brand: ‘No Gymtimidation’. Their branding not only is relatable for their target market but also creates clear competitor differentiation. This is the type of branding that generates ‘cult-like’ followers that retention managers dream of. It’s difficult for people to be loyal to something they don’t want to identify with. Loyalty schemes need to play to the strengths and weakness of your brand. Successful loyalty programs play to the strengths and weakness of your brand. Loyalty strategies can play out at any stage of the customer lifecycle. Let’s go back to Apple. One weakness of Apple is that its products are high-end– they’re not affordable. If you buy a Mac, you’re going to want it to be reliable. If your (very expensive) MacBook flakes on you after a year of use, you’re going to be pretty upset. And sometimes, this happens. So what does Apple do to counteract that negativity and cultivate loyalty? They offer the Genius bar, where you can go and ask those in the know what they can do about the computer you spilt juice on or the phone that just keeps running out of juice. They’ve become a little famous for their generous rewards at this stage – accepting responsibility for product flaws and giving exchanges. What you could call Apple’s loyalty program, AppleCare, a paid insurance-like scheme, takes that even further. In some cases, if your device breaks – even if it is your fault – you can get a complete repair at no further cost to you. …sometimes loyalty is apologising when you’ve made a mistake. Innovative loyalty solutions can come in at any stage of the customer loyalty cycle – sometimes loyalty is apologising when you’ve made a mistake. When an apology isn’t enough, we’ve seen some of our biggest clients choose eftpos gift cards as a way to compensate. Like the NBN. Branded gifts can be a more enduring reminder to the client that you care about them and value their patronage. Showing understanding helps keep customers from chopping and changing brands in a market typically overloaded with choice. Customer service and customer favour are key components of loyalty. While undoubtedly there are many more Android users worldwide than iOs users, few could deny the success of Apple’s loyalty strategy. Sometimes it’s obvious that the Android product is capable of more for a lower price, but when you buy an Apple product, you buy more than a device. You buy an identity and a service. This is all coming from the store that used to clap people out after their purchase of a product. Sometimes the best ideas for customer retention can be unconventional. Sometimes, a loyalty program can look a bit different. Sometimes it’s gathering up existing consumers and trying to get them to increase adoption rates of a new product. We’ve organised schemes whereby consumers of an energy company were opened up to a new offering incentivised with a gift card – for some companies that’s what works best. If you were an energy company, a conventional ‘the more your bill costs, the more rewards points you earn’ model isn’t likely to be met with enthusiasm by your customers. Instead, taking into view broader objectives, like retaining customers in an increasingly crowded market, will assist you to a greater degree. Often, these companies have the greatest success when they reward customers who pay on time consistently. The best loyalty strategies show understanding of where a customer is at. There are finance companies that send clients gifts during periods they are having trouble paying their bills. If their client is hit with unexpected medical expenses, rather than penalising them for organising a temporary reduction on their payments, they send them a gift card. Using ‘understanding’ in loyalty strategies can also be applied to membership services, like health and fitness. Gyms may have members considering quitting, so offer a reduced membership option and incentive programs designed to drive participation back up. For more examples of how you can cultivate loyalty, take a look at our case studies. We’ve helped customers achieve loyalty objectives, from doubling responses to direct mail, to increasing customer acquisition by 450%. Loyalty programs, in whatever shape or form they may take, are one of the strongest methods to drive repeat purchase behaviour. What are your brand’s characteristics? How can your loyalty strategy amplify them? How can your brand illustrate ‘understanding’?